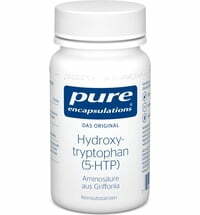 Hyaluronic acid is a natural substance and is an important part of the connective tissue. It ensures flexibility, promotes regenerative processes and regulates the water balance due to their high water binding capacity. Hyaluronic acid has special importance for its anti-aging properties because our natural hyaluronic acid production decreases continuously after the age of 40. Hyaluronic acid contributes to the elasticity of the skin, can visually correct fine lines and can support the evenness of the skin's pigmentation. In regard to joint function, hyaluronic acid may improve the quality of synovial fluid and may promote water binding capacities. Ideally dosed, absorbs well and is free of animal ingredients. take 1 capsule daily with or between meals.